The Baby food blog is dead. Long live Netflix and children, which is really just a poorly thought out pun referring to the act of trying to enjoy some time with one's significant other, possibly involving streamed media, but being repeatedly disturbed by your offspring waking and spoiling the mood. Whatever the cause for the title, the sad fact of the matter is Emily is old enough that she eats what the rest of us eat now, and I'm simply not game enough to try and review my wife's cooking for attempted comedic effect. So there may be food reviews, but this will now be more books, films, tv, and toddlers music (read innapropriate jokes about the Wiggles, sorry Wiggles), whenever I have time. Speaking of which, does anyone else get that Wake Up Jeff song? Cos speaking from experience as a man of medicine, most guys don't need much encouragement getting their Purple Wiggle to rise in the morning (Sorry Wiggles). Anyway, balloon animals! 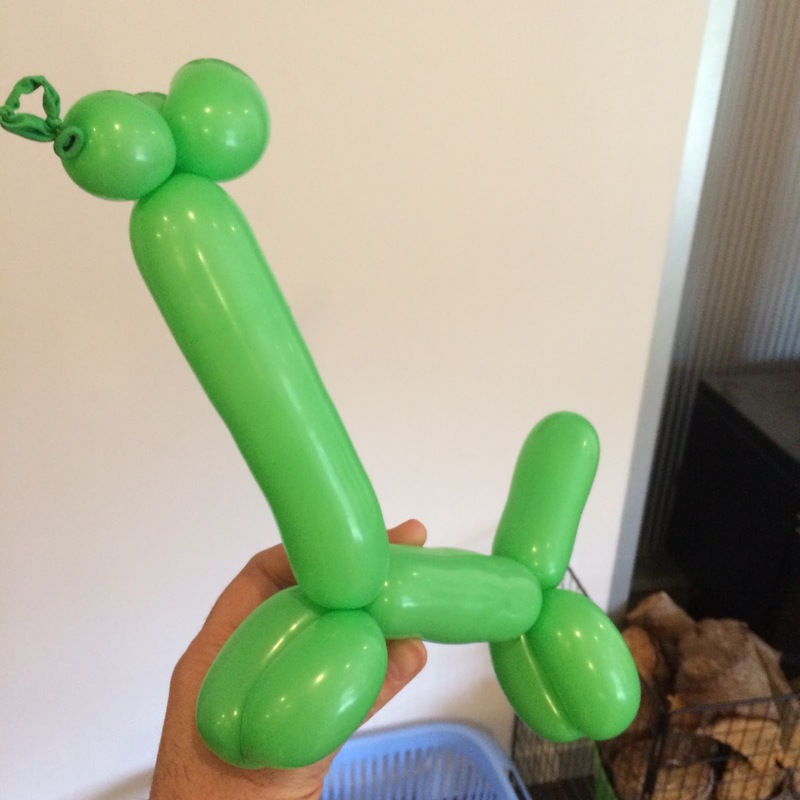 Do you have a favourite moment in NZ history that you would like to see lovingly rendered in balloon sculpture? Let me know in the comments! This is an offer that is bound to explode in my face! In the mean time, may I present Gareth Morgan's high horse? Just like the real thing, it's having a hard job of standing up by itself, and will eventually end up a flaccid disappointment! I want a pregnant hippo balloon please. In my sleep deprived state I did not see that about the wiggles........what the hell am I gonna do at the concert now!